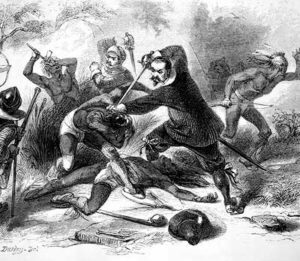 Bitter conflicts with Connecticut’s native peoples occurred almost immediately. Defeated in a merciless attack on their main village in Mystic in 1637, the Pequots fled south to Fairfield where they were crushed in a second fierce battle. Problems of settlement dominated the General Assembly’s agenda virtually from the first. “Outlivers” petitioned to split off from established towns. New settlers and speculators sought to establish new towns from the colony’s undistributed land. Connecticut was rapidly filling up, and the General Court was called upon to set up the ground rules for settlement. With the Stamp Act of 1765, England sought to recover the enormous expenses she had incurred defending her American colonies from the French in the Seven Years War. Connecticut split sharply between those who accepted this new tax policy and those eager to resist. 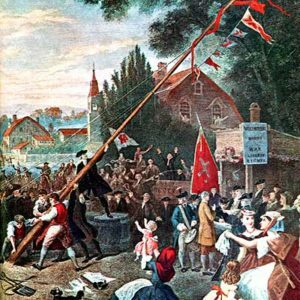 Opponents formed the Sons of Liberty and nominated a dissident slate for the Upper House in 1766. 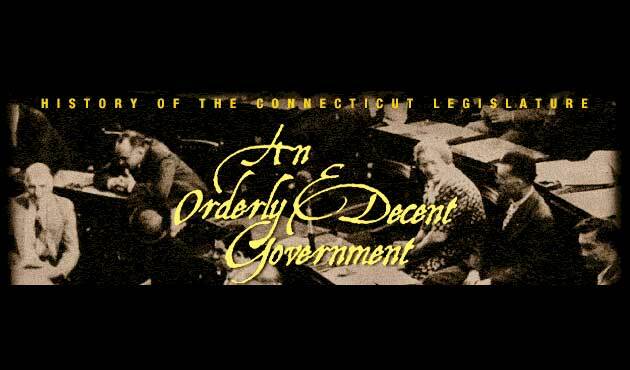 Their victory demonstrated the capacity of Connecticut’s representative government to accommodate bitterly divergent views and set the colony on the path to independence.